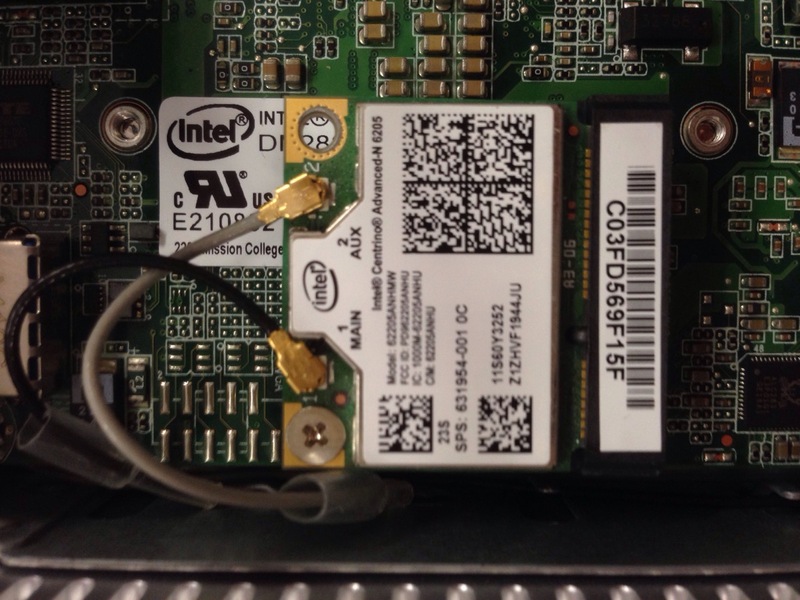 Aaron and I talked to the IT guys and got a Intel® Centrino® Advanced-N 6205 wireless card (usually used in the school laptops) for the NUC, and eventually for the BreezeLite if that proves to be a more viable option. The wireless card comes with two wires connected as aerials. We are going to route these around the chassis to hopefully increase wireless performance. We have a TP-LINK AC1200 Wireless USB adapter which can be used on the laptop. The S.A.R.T initiates a wireless network called “SART” and you can connect to it using any device that supports the 5GHz A band. Unfortunately, I discovered that the test was run on the 2.4GHz band when he reviewed the footage before he edited the video. Nonetheless, we were rather happy with the results. The wireless connection was maintained through 3 shielded walls over a distance of (estimated) 30 metres, however we will repeat the tests tomorrow on the 5GHz band with proper measurements. 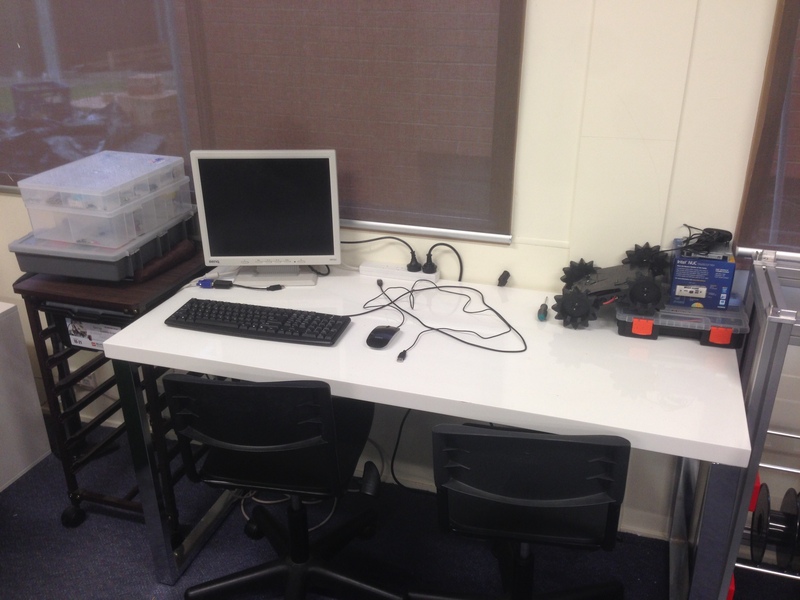 At the end of the day, Aaron cleaned off a desk in the IT staff room for the S.A.R.T workspace.